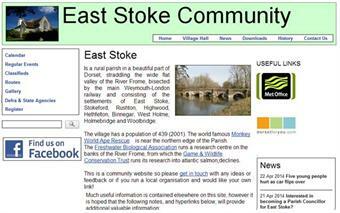 The first UK site built with the System for Local Communication (click image to enlarge, click Best Practice to learn more). The riches of nature (biodiversity) and their services for people (ecosystem services) are best where local management is adaptive and there is good connectedness for knowledge. Therefore, the project that launched Naturalliance asked authorities across Europe what knowledge they need for managing the environment. Local authorities most wanted guidance in socio-environmental issues, and fine-scale maps of habitats and species. Clubs for countryside interests most needed help with decisions about conservation and production, and mapping tools for this; they also prioritised examples of best practice. Naturalliance was built to provide best-practice examples for countryside interests, together with a tool for mapping at fine scale by local people, because our project showed that local authorities could organise mapping and people enjoyed mapping. The project also designed tools for local decision support. However, we needed a way to help local authorities organise for the environment and to build the decision support. So we talked with local authorities and clubs about what would help them communicate with their citizens. We then built the very flexible system they needed in a way that could also network to organise projects and local decisions. We tested the system for two years, talked to governments about it and found a way to offer it for just €99 a year. BEST PRACTICE is about this System for Local Communication and how to obtain it. MAPPING by local communities can be of high quality with the mapping tool available in the Species and Habitats section, as shown in Best Practice for the topic Science. Please encourage your local authorities and clubs to think about using the System for Local Communication. You would also be very welcome to DONATE to help us take forward the work and aspirations shown on this site.